Fantastic offers throughout the month on February. Book an appointment on tel: 01753790153 or contact us here. ALL SALE GOWNS just £300 throughout the month on February. Book an appointment on tel: 01753790153 or contact us here. Gowns at an amazing £300 - over 30 styles to choose from. 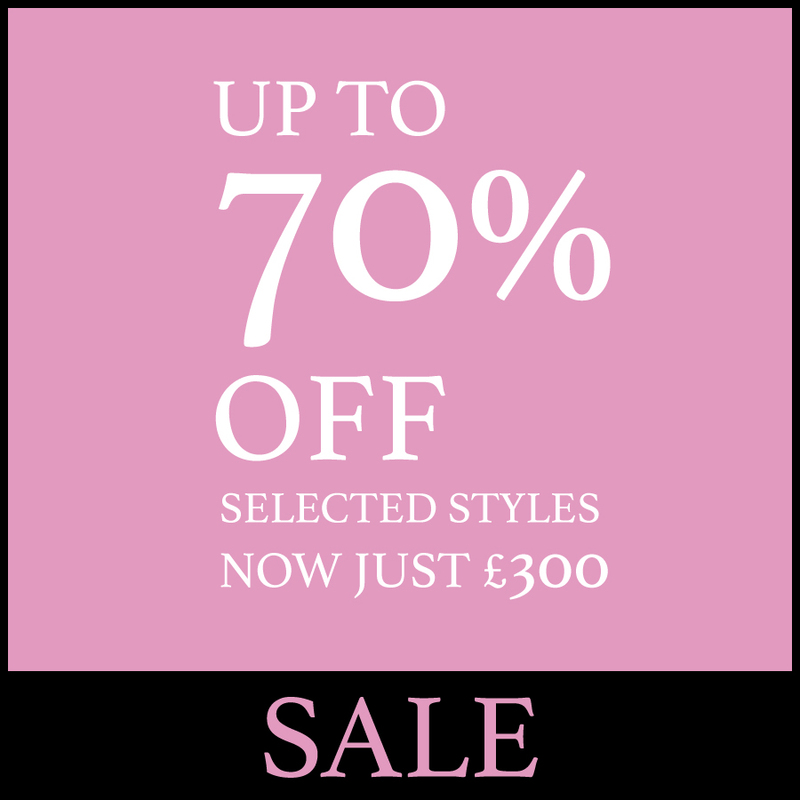 We’ve also started our FLASH sale with 50% off selected styles ( that are full price in stores throughout the UK) so the time to buy your dress is NOW !! Appointments needed tel: 01753790153 or contact us here. You may have seen advertised across our social media platforms, our "Recommend A Friend" promotion. New to both our Buckinghamshire store, get a £25 voucher when you recommend a friend who purchases their gown with our store! Your friend who purchases their dress will also get a £25 voucher - you both get rewarded! For more details see here. Daisy Love Berkshire - Looking for new premesis! As many of our loyal customers know, we had to vacate our old premesis in Datchet, Berkshire due to being flooded twice from an unknown source above the shop. This remained unresolved at the time of our lease renewal and we were left with no other choice but to vacted the original location of our Daisy Love stores. Down but not out - we've bounced back from the troubles by successfully integrating into our new home in Iver Heath, Buckinghamshire. For fuller figure brides in Berkshire, we invite you all to our new location just 15 minutes from the old Datchet store. Please contact the Buckinghamshire store on 01753 790153 for any enquiries. Callista joins our Buckinghamshire branch. We are pleased to confirm that Callista is joining our Collection of fuller figure gowns at our Buckinghamshire branch. Their beautiful gowns are in store to try on and purchase. Call the girls today on 01753 790153 to make an appointment or see "Contact Daisy Love Buckinghamshire". If you purchase your wedding gown on your first visit to Daisy Love we will give you £150 of free accessories on ordered gowns priced £800 and over. Purchases made after the first visit will qualify for an offer of £100 of free accessories. This is our thank you to you for choosing Daisy Love. Specialist Fuller Figure Bridal Collection.